Текст № 1. 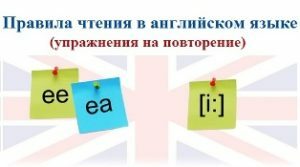 Вспомните предлог и вставьте его в предложение на английском языке. Выучите текст. That is — То есть. Hi there! How are things? I am … duty today. That is I am responsible … the blackboard today. I know that you are not famous … your responsibility. But I hope everybody is ready … the lesson and nobody will be late … the lesson next time. I am sorry … those who are not present today. That’s all. Текст № 2. Вспомните предлог и вставьте его в предложение на английском языке. Выучите текст. How are you getting on? — Как поживаешь? Hello there! How are you getting on? You know, I am fond … being helpful. Although I am a little bit tired … it. I don’t mind cleaning the blackboard at the end … the lesson. The point is I can forget to do it. I am not very proud … my memory. Besides, I am always afraid … staying in after the bell. Текст № 3. Вспомните предлог и вставьте его в предложение на английском языке. Выучите текст. How is it going? — Как дела? Morning! How is it going? I hope everything is fine. I guess you are not angry … your parents. And I am sure that you are not busy … loads of work, either. I believe that you are not bored … doing nothing as well. The main thing is to be satisfied … your life. To sum up, that’s all I wanted to say. Текст № 4. Вспомните предлог и вставьте его в предложение на английском языке. Выучите текст. Good morning! You look great! How are things? I know that some of you are very good … languages and some of you are very bad … science. To my mind, the point is to be keen …what you are doing. If you are interested … something, you will make progress and finally you will succeed. I hope I will be never disappointed …you.